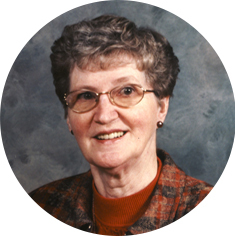 Catherine Osachoff, aged 80 years of Moose Jaw, SK passed away on Tuesday, March 5th, 2019. Catherine was born May 17th, 1938 in St. Georges, Newfoundland. On December 28th, 1961 she married William “Bill” Osachoff and together they raised 3 sons. Catherine completed her education and received her nursing degree. She was an Operating Room Nurse at the Providence Hospital in Moose Jaw. She had many interests and enjoyed spending her time travelling, gardening, reading, and playing bridge. She was also a member of St. Aidan’s Anglican Church. She was predeceased by her husband, Bill. Catherine will be lovingly remembered by her brother, Tom (Diane); sons: Fred (Connie), Charles (Yvette), and Paul; grandchildren, Ashley and Michael; niece, Jackie; and nephews, Brett and Peter. The Funeral Service will be held on Saturday, March 9th, 2019 at 2:00 p.m. in St. Aidan’s Anglican Church, 124 1st Ave NE, Moose Jaw, SK. Reverend Dr. Dean Pinter will officiate and a private family interment will take place at Rosedale Cemetery. As an expression of sympathy, donations in Catherine’s name may be made to the Canadian Cancer Society, 1910 McIntyre St, Regina, SK S4P 2R3 or Alzheimer Society of Saskatchewan, 2550 12 Ave, Regina, SK S4P 3X1. Arrangements are entrusted to Moose Jaw Funeral Home, 268 Mulberry Lane. Michelle Surtees Funeral Director 306-693-4550. Sorry to hear of your mothers passing. She was a very nice person as I remembered when as a young kid at the time I attended ST. Johns church in my youth. So with my deepest sympathy to all the Osachoff ‘s Greg Nicholls. My wishes go out to the family. Sorry for your loss. Fred Paul and Charles. Your mother was a very nice and kind person. I’m sorry to hear of her passing. My thoughts will be with you this weekend. I was so sorry to learn of Catherine’s death. Please accept my deepest sympathy. I enjoyed her company and shall miss her. I hope she is in a place where she can have a garden. My wife & I would like to express our sympathy to the family who lost a very dear person to our enemy death. What a wonderful time it will be when our love ones will be resurrected to live again as it is Promise in the Bible in 1Corinthians 15 : 22 – 26. We hope this promise will comfort all of you. and always found them to be good company. We’re also very disappointed that we won’t be home to express our sympathies at her funeral as we are in Arizona. When Bill died, we were in the Yukon and missed his funeral too. Rest assured that our sympathies are with you at this difficult time. We know that many other people will be feeling sad at her death as well. We are sorry to miss the chance to celebrate her life. Fred, Charles, Paul and Tom. Gary and I were sorry to hear of Catherine’s passing. Living our adult lives on different sides of the country, she and I managed to always catch up on family news at Christmas over the years. And although our paths didn’t often cross, I certainly enjoyed her company when it did. I have fond memories of shared meals and lively conversation. You have our deepest sympathies. Sorry Tom and Diane to hear of the passing of your sister Catherine . Our thoughts and prayers are with you. So sorry for your loss.My deepest sympathy Charles & Yvette, Ashley & Michael. And all your family @ this difficult time. May God Bless & lead you into each other, to get thru this. Our sympathies to Charles, Yvette, Ashley, Michael and the Osachoff family. So sorry to hear of your mom’s passing. Fred, Charles, and Paul, I just learned of your Mom’s passing. I remember her kindness, intelligence and generosity. May her soul rest in peace and may the beauty of her spirit live in you and your families.